It's been "days" since these 3 wheeze worts have been planted, yet there body temperature do not cool down. The one in the middle have a body temperature of 19°C. 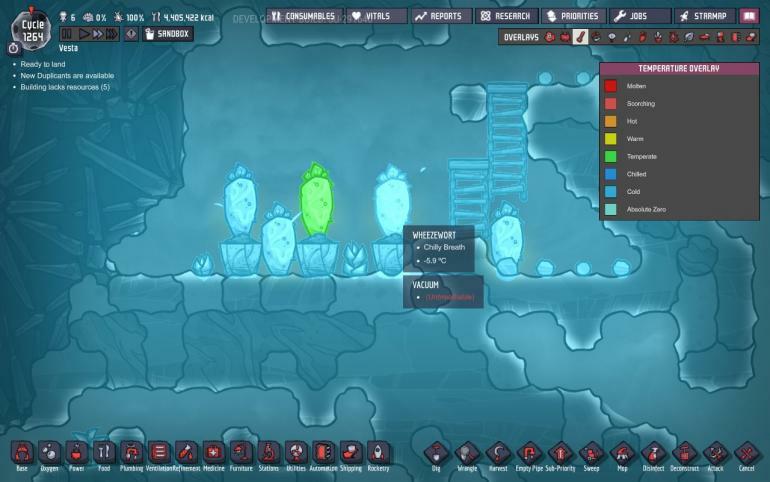 I was just testing if I can liquify some carbon dioxide to unlock it in the ressources list, without making a room just for this purpose.